This bathroom accessory is contemporary and unique. Sure this will brighten up your bathroom in an instant . 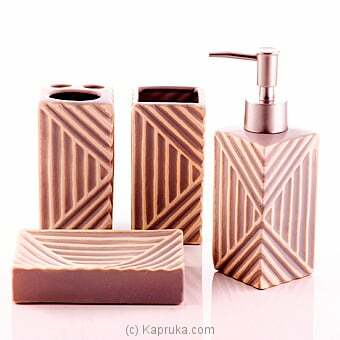 Kapruka`s range of colorful bathroom accessories that will not only add a great vibe to your bathroom, but are a wonderful gift for friends and family! Bathroom Non-Slip Rug With B..